I am often asked about the CD Slot Mount which was born out of panic, after my mobile satnav was stolen. I wanted to stop the windscreen sucker marks that thieves clearly noticed. 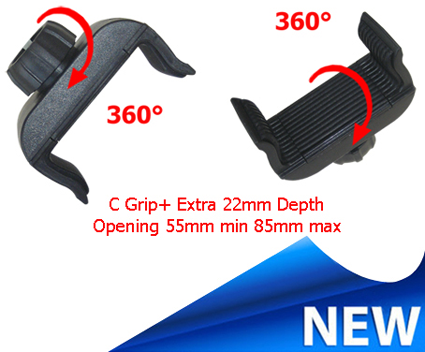 With a carefully designed slim profile close to the CD slot for greater stability. It has the ability to hold a combination of devices in any position side by side using the mounts unique triple ball arrangement. Please remember your CD discs can still be played while using the CD Slot Mount and your passenger can now within easy reach operate your mobile satnav. 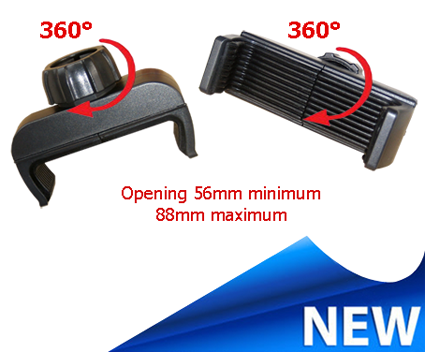 The CD Slot Mount has solved a problem for me and I trust it will be useful to you. Fully patent protected and trademarked dispatched today. 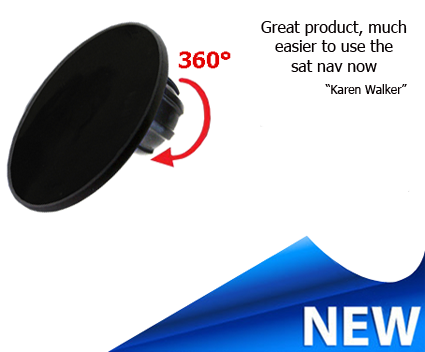 The CD Slot Mount 360° comes complete with a fully adjustable and expandable C Grip holder. 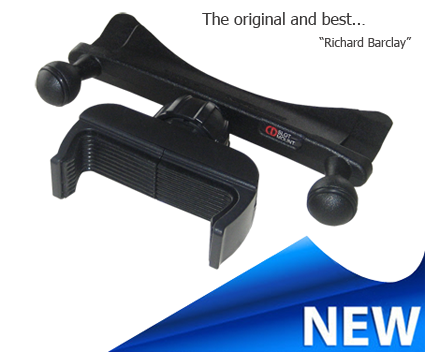 This Invention of the Year award road safety product also gives you the opportunity to hold two devices in any position with the new triple ball mounting. The 2018 Highway Code states that "windscreens and windows MUST be kept clean and free from obstructions to vision". Great quality product, sturdy and meets all expectations. Great British engineering !